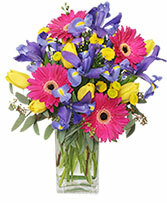 Perfect cheery bouquet to show you're thinking of her! 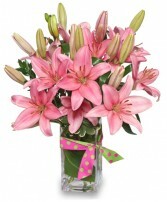 Including lilies, gerber daisies, statice, solidago, and roses. 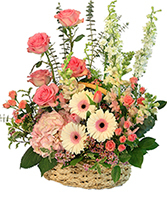 Substitutions may be required depending on what we have. 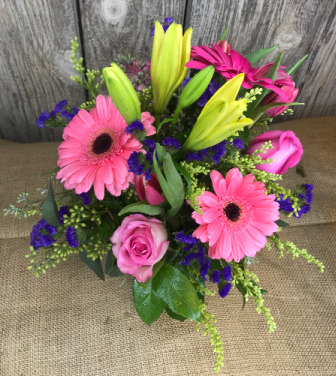 Pink Gerber Daisies, Solidago, Purple Statice, Pink Roses, Yellow Lilies.